Day 14 was Zoe's Preschool Christmas Concert. We got all dressed up and headed over to the Rexburg Tabernacle, which is a beautiful building inside and out. We got to watch a slideshow of all the kids and hear them sing their practiced songs. I was going to borrow a video camera from Karli, but didn't have time, so I video taped the songs on my iPhone. I uploaded a few so you can enjoy the special event too. This one is my favorite. Zoe and her friend, Taylor, are sharing a microphone and Zoe keeps covering Taylor's mouth with her hand. Camera hog for sure. After the concert, Santa made a special visit. Zoe was first in line, and I sprinted up to the stage with my camera to snap a couple pictures. 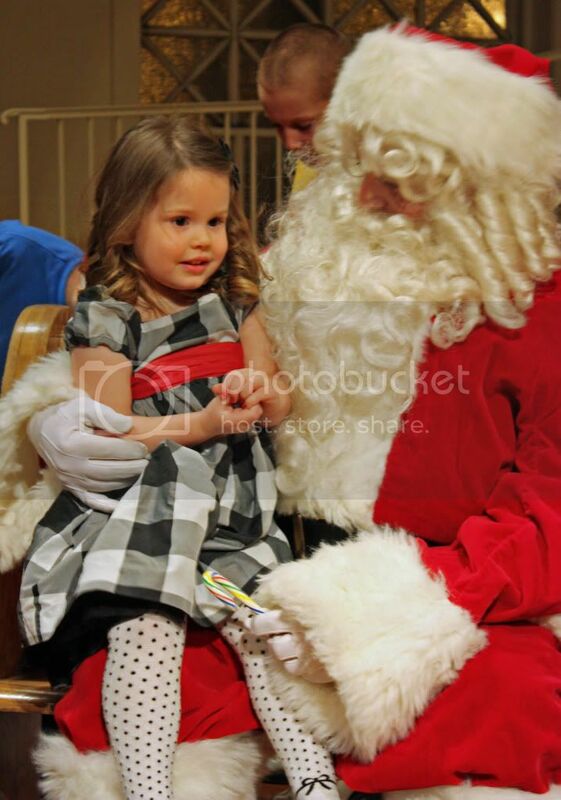 I love this year that she actually wants to talk to Santa. She tells him she wants the same thing every time, "a few games." That's all.